Mental health has become an increasingly important part of election health platforms in recent years, and not without reason. According to the Australian Bureau of Statistics’ report on Mental Illness of 2013, 45% (or 7.3 million) Australians would have met the diagnostic criteria of a mental disorder in their lifetime. The same report also sheds important insight on gender differences in the experience of mental disorders within Australia, with females being more likely than males to experience an Anxiety (32% vs. 20%) or Mood disorder (18% vs. 12%) in their lifetimes. That said, males are more likely to have a mental disorder within their lifetime relative to females (48% vs. 43%) and despite only 5 per cent of Australians aged between 16-85 years having a substance abuse disorder, males are also more likely to develop one within their lifetime (35% vs. 14%). These statistics are troubling as youth are particularly susceptible to developing mental illnesses, and within Australia 76% of those who experience mental illness will do so before 25. These illnesses can be treatment resistant, and often require specialist case management. With just a week until the state election, the Coalition, Labor and Greens all have strong mental health policies as part of their election platforms. Announcements of funding expansions, the creation of new beds and the establishment of new clinics and research centres are, almost always, well received by voters. For the general public, however, it can be difficult to ascertain the value of mental health policy without knowing how policies are to be implemented, what sector of the population they target or if they are likely to be effective. Adding to the complexity of digesting mental health policy, the three major parties have also adapted divergent ways to promote mental health. While each party’s policies take different approaches to improving mental health, each are likely to provide relief by targeting different segments of the population. The Coalition's policy will ensure that specialist services targeting several at-risk groups will remain funded. The Coalition significantly expanded mental health services during the past four years, increasing funding for youth mental health while opening three additional Prevention and Recovery Care (PARC) centres and 11 new Headspace centres. They have pledged to continue this trend with $71.5 million in funding promised for mental health programs. This includes clinical services for children aged 2-11, funding eating disorder programs, suicide prevention programs targeting LBGTI youth, and mental health care services for the elderly. As mental illnesses arise early in development, are treatment resistant and can occur as a result of neurodegenerative disorders in the elderly, the Coalition policy targets several at-risk groups and, critically, ensures that several mental health programs that support these vulnerable groups remain funded. On the other hand Labor has not outlined which mental health services will be funded, only that a review will be conducted which will inform the development of a 10-year plan. However it is unclear what this plan will involve, how it will be funded or who it will target. While the party has also pledged to provide “ongoing support” to mental health support programs, they have not detailed how this will be done until “full analysis” is completed on the topic and a report undertaken by the current Coalition government is released. Significantly though, Labor has committed $10 million to making mental health services safer – an important subject given that some psychiatric disorders can be accompanied by acts of impulsivity and threats of violence which can place health workers and other patients at risk of bodily harm. The development of a long-term mental health plan for Victoria would likely provide stability to mental health services once enacted, however until then existing mental health services may struggle to maintain their operational viability. Likewise, the $60 million promise to rebuild of Orygen Youth Health - which houses the Early Intervention & Prevention Centre (EPIC) and the Early Intervention for Borderline Personality Disorder (or Helping Young People Early - HYPE) group - is not a commitment to funding mental health services per se, but rather a commitment to infrastructure. Added to the policy pool is the Greens, who have promised continuing access to mental health services for up to 10,000 patients who could otherwise be affected by the new NDIS access provisions. The Greens have specifically pledged $80 million to fund community mental health services to assist people who may not be eligible for the NDIS. This initiative is important, as psychopathology is often present within a spectrum, and to maintain functioning regular contact with clinicians and support groups may be required for some individuals. Ensuring that access to mental health services is available to those who are not eligible for the NDIS may help to prevent illness progression or acute exacerbation during times of particular hardship. In the long run, such a scheme may help to buffer health expenditure; all while ensuring those who need treatment are able to receive it. 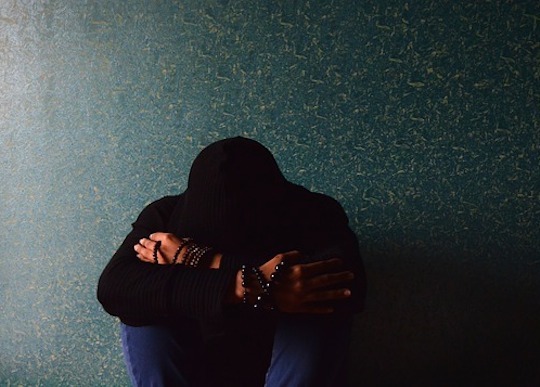 Mental health funding is crucial given the prevalence of these disorders within Australian communities, especially given their ability to induce long-term disability if not properly treated. Many mental illnesses are treatment resistant, which necessitates the funding of specialist services and clinics to prevent progression. If mental health services are not sufficiently funded, the burden of mental illnesses on the health and welfare systems is likely to increase. The impact on the health system is not just limited to the uptake and utilisation of mental health services, but also general somatic health as relatively common mental illnesses such as depression have been associated with poor physical health, cardiovascular risk and suppressed immune function. Ensuring that the policies are adequately funded is just as important as the policies themselves, as the fallout of ineffective or underfunded mental health policy is likely to have an effect on general health policy and expenditure in the long-term. The Coalition and Greens appear to have costed their policies, however with the details of Labor’s 10 Year Mental Health Plan remaining undefined it is unclear how much this initiative will cost, how it will be funded or which services will remain adequately funded. In a perfect world it would be ideal to have a platform that encapsulates elements of each of the policies from the three parties, alas voters are made to choose just one. 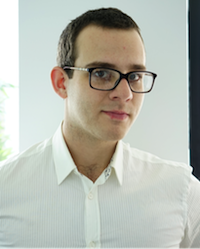 Michael Notaras is a senior PhD candidate at the Florey Institute of Neuroscience and Mental Health located within the Melbourne Brain Centre at the University of Melbourne, where he is a member of the Behavioural Neuroscience and Psychoneuroendocrinology Laboratories. For his thesis, Michael is examining a novel genetic mechanism for how chronic stress may potentiate the expression of anxiety and depressive-like behaviour in adulthood. Michael holds a Bachelor’s degree in Psychology, as well as an honours degree in Cognitive Science, and is funded by an Australian Postgraduate Award for his PhD in Neuroscience.